The Woodlands - Known as one of the most upscale and unique areas of Houston, The Woodlands offers everything from shopping and dining to golf, theater, concerts, and sporting events. Set in a lush forest, this planned community is filled with biking trails, exquisite restaurants, and fun family sites. The Woodlands has over one hundred parks, plus more than 155 miles of hiking and walking trails. 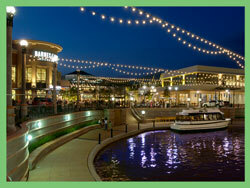 You can go shopping at the Woodlands Mall or on Market Street, visit the famous Woodlands Waterway, or tour Market Square. 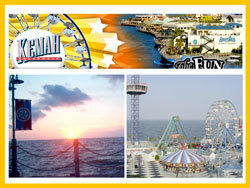 Kemah Boardwalk - This famous seaside entertainment mecca is a fabulous place to play. The Kemah Boardwalk was originally known for its exceptional restaurants and dining experience. Today it offers shops, antique stores, and boutiques. There is also a mini-amusement park featuring a 36-foot Carousel, a 65-foot Ferris Wheel, a train ride, rock climbing, and tons of games and prizes. Kemah Boardwalk also features live shows every Thursday throughout the summer. The kids will love zooming through the air on the Pharaoh's Fury or taking a spin on the Bouncer! And don't miss the boardwalk's superb restaurants. 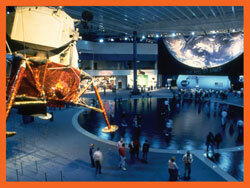 Space Center Houston - Offering unique exhibits, attractions, special presentations, and hands-on activities, Space Center Houston is a place where visitors can learn about the past, present, and future of the space program. Watch astronauts train for missions, touch a real moon rock, land a shuttle, and view NASA behind the scenes. A tram tour takes you to the real working areas of Johnson Space Center. Kids will love Space Center Houston's Kids Space Place that lets visitors experience life as an astronaut, from commanding a space shuttle to living on a space station. 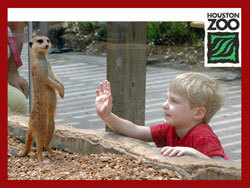 Houston Zoo - Head to the amazing Houston Zoo to view the more than 4,500 permanent animal residents! You'll see everything from amphibians and birds to mammals, reptiles, and fish. Check out lions and tigers, tour the reptile house, and take the kids to the special Children's Zoo. The zoo encompasses 55 acres of lush habitats. Viewing everything from the exotic and endangered animals to the more familiar ones, more than 1.5 million guests a year have experienced and enjoyed their visit to the zoo. Be sure to bring the whole family to the Houston Zoo, so they too can enjoy this amazing adventure.